3. The price only 25%, the volume only 1/50 of old tradition system in the same power. 4. Very low power absorption. 5. Built in two steps power control &amp; working timer. 6. Manual and auto operation can changeable. 7. 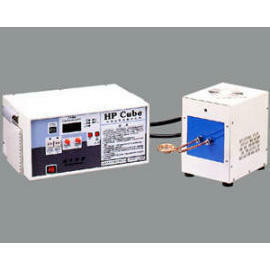 Induction coil diameter can up to 40ψmm. 8. More power in 35KW the coil can up to 150ψmm. Mr.Mr. Hsiao , PRESIDENT-HONOR INDUSTRIES CO., LTD.